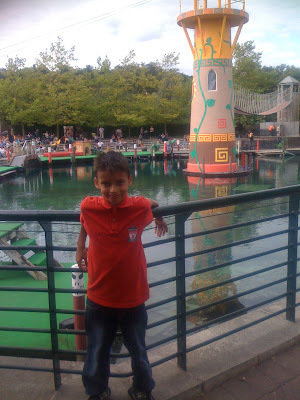 Saturday was my and Robert's trip to Legoland. Thankfully, we had a glorious day, in weather and fun!!! My outfit choice for the day was a mix of new purchases-my purple Uniqlo cardigan and this really unusual skull print t shirt dress that was in the Salvation Army last week for only £1.75!! I paired this with my Uniqlo leggings and comfy gold espadrilles!! We got there about 11am and it was sunny and very busy indeed!! 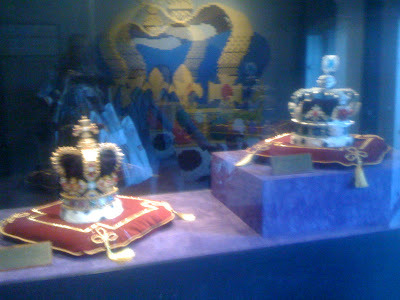 Be prepared for lots of pictures, which show off the wonderful land of Lego, which is in the heart of Windsor, Berkshire. 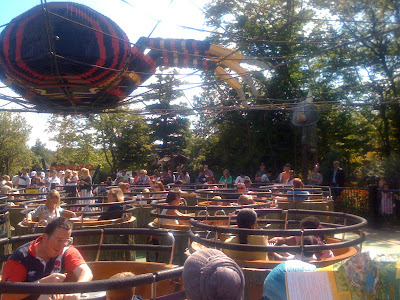 Spining Spider, Land of the Vikings-wow, was I dizzy when I got off this!! This was a 30 minutes wait to get on to! 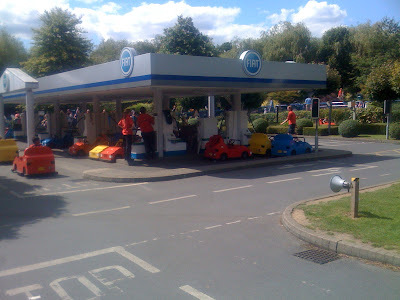 At Traffic-Robert took his driving test and got his lego drivers licence here!! 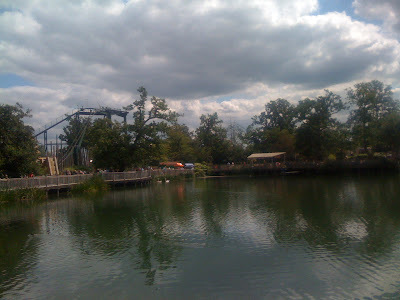 Here at Adventure land, it took 90 minutes to eventually get on Wave Surfer, whch lasted a whole 4 minutes-yaaay!! Robert with his drivers licence, queueing to get on Wave Surfer!! Here at Lego City we watched a show called Johnny Thunder!! 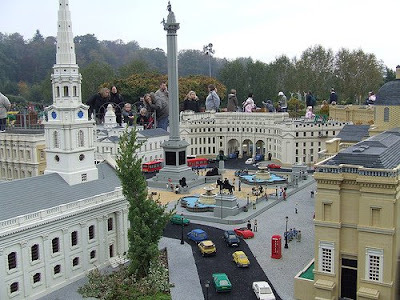 This photo is from google.com-The iphone ran out of battery, but I just had to show you how excellent this part of MiniLand was-London was totally recreated, from Canary Wharf upto Buckingham Palace!!! 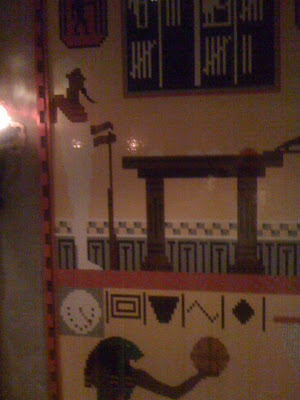 We had a fantastic time-Robert brought home some Indiana Jones Lego, which he has built already! 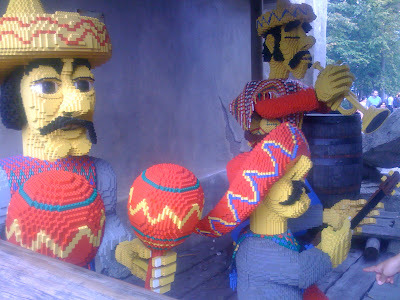 Legoland is a really fun place to go for adults and children alike! Beats my working and then sleeping in tent last night! Mind you Celia Birtwell sleeping bag was gorgeous. Thanks dear! and love your outfit here, so nice! Hi kate-I've heard the Celia B/Millets collaberation was a good one-at least you slept in style!! Hi sunniva-thanks so much for your lovely comment! So much fun! Love your outfit, perfect for sunday outings. PS love the cardigan, great buy! And thank you, we are having an amazing day! Hi Silje-thanks so much for your lovely comment, enjoy the rest of your special weekend!! what an excellet outfit to be caught in at legoland. love the pictures. now thats what a good time is all about, exploring, learning..and fun..lots of it. hope you get some rest after this. i know i'd need some. 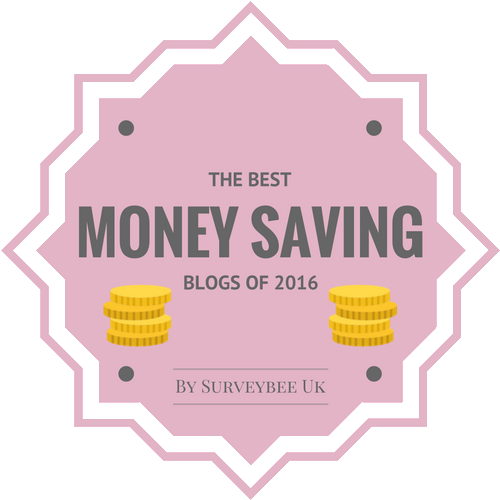 thank you so much for taking the time to read my blog. Hi ellie-what a lovely comment- you're such a sweetie, thanks a lot!! haha, I'm relaxing today!! Amazing what they do there! The Wall Street Journal had a story years ago about a guy who was amazingly talented with Legos and was trying to get hired by Legoland. I swear, he might have been a lawyer or something, but he needed to follow his bliss! what a fun day! even though i'm a bit older than robert, i think i would LOVE legoland! also, that skull print is amazing on you. Hi wendy-maybe they did hire him, there is some awesome creations here, not only was London built, but other european cities too!! Hi cupcakes and cashmere-Yes, I'm certain you would have loved it, the queueing was a pain, but to be expected! 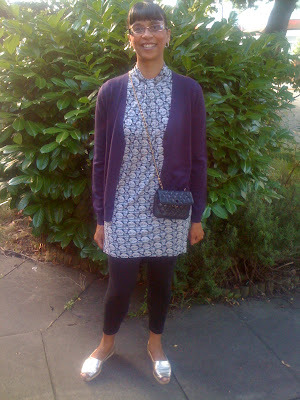 Thanks for your comment on my t shirt dress, I really love the unusual cut and print of it! Hi elle-we had a great time, thanks!! Thanks so much for checking out my story blog. I greatly appreciate it. Love the fun you guys had. Wish I was there. 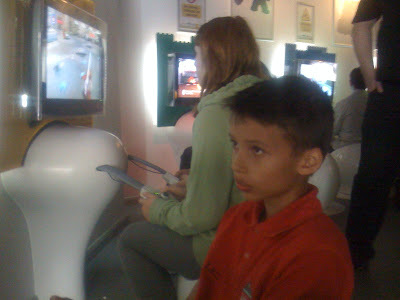 His face at the 360 gaming thing..priceless. Hi charlotte-thanks so much for your lovely comment. 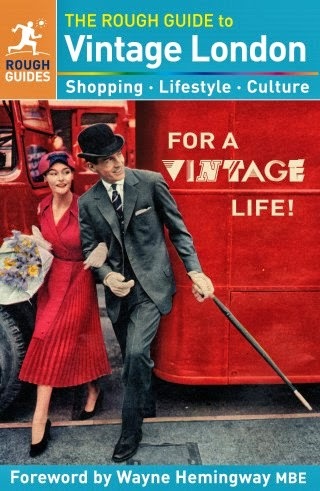 I am lucky that where I live, I have access to a lot of charity shops, they seem the norm over here in the UK. I hope they gain popularity in Germany, more so with the prices too! Hi blue hearts-thanks for your lovely comment and I'll try to check you out from time to time too!! 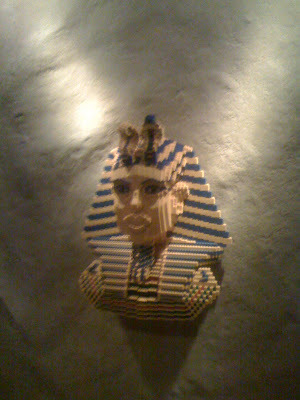 I love Lego-- I still play with my extremely ol'-skool lego, building homes and the like. I always thought my childhood was an androgynous mix-- lego and barbies, guns and dress up, role-play camping and role-play beauty salon. Your son's really adorable, and that dress is fantastic! Oh this brings back so many childhood memories, I used to love lego land! 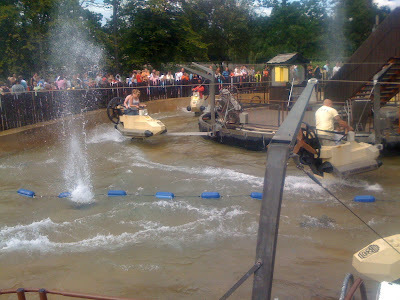 They have the gold mine activity there and I remember coming back with a 'gold medal' and being really pleased that I had my lego land driving licence! Love the outfit, that charity shop dress is great!! Hi p-thanks for your lovely comment, haha Robert is lego mad at the moment too! Hi Winnie-yes, the gold mining is still there, although we didn't do it! Thanks so much for your lovely comment!! Darling, thank you so much...I'm feeling so much better now! Great skull top/dress - I've got a scarf with that print! Hi ladies who lunch-thanks so much-yes, it is a casual favourite!! 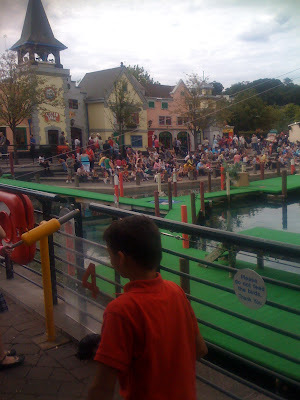 Legoland looks amazing! The purple looks great on you -- I'm regretting not buying a couple more of those sweaters while at Uniqlo. I always wanted to be there! It looks like so much fun! 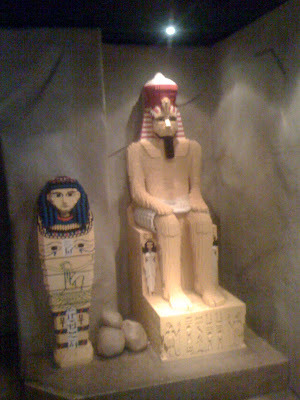 I've been to Legoland in Denmark when I was much younger. Fantastic. Legoland sure has changed since I went with my son. Glad you had a good time and had good weather. And love the outfit choice. Perfect! 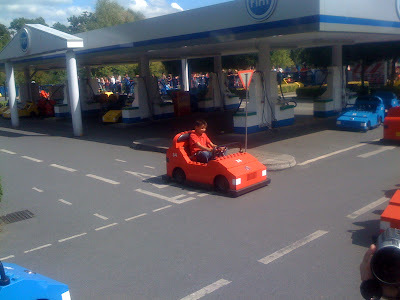 i went to legoland manyyyy times when i was younger! and i really like that skull print dress. The mini London looks incredible! Hi nothing elegant-thanks so much! yes, I could have bought more at Uniqlo too!! Hi nadine-it was really great, thanks!! Hi b-I bet the Denmark one is really good too!! Hi vain and vapid-thanks so much my dear!! 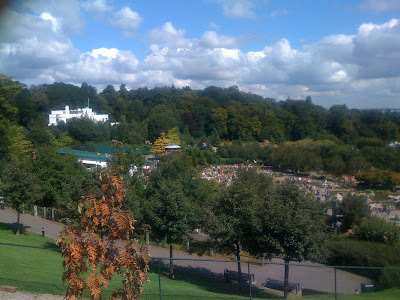 Hi lenya-thanks so much, it has changed as I was last there over 10years ago and there is more there now!! Hi jenny-thanks so much-it was definitely a lot of fun!! 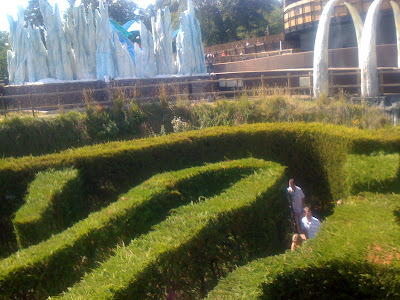 Hi alicepleasance-it was totally amazing-the Mini Cities were my favourite part! This is way cooler than any lego exhibition that I was dragged to see as a kid. oh and I was going to say that my day job has kept me from writing my beloved and over-the-top 'Shoe of the Week' posts. 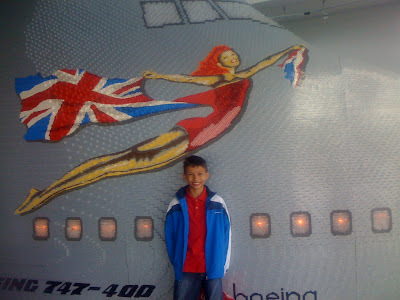 Hi Imelda-yes, Legoland has definitely got better over the years!! Boohoo to the day job-I love your posts, nothing must get in the way of these!! Hi thetinylittlegirl-It was great fun thanks-I'm sure you'd all really enjoy it!! Wow, this looks so fantastic. I had never heard of it, weird. It does seem that one has to visit it on a weekday, no? 90 minutes?! Crazy:) But your son looks so happy, lovely! Have a wonderful day, dearest Sharon! It looks like you enjoy with family. I like your outfit. Is the purse a Chanel one? I like it too. lego land is super fun! glad you Robert had so much fun.love your outfit here honey! p.s enjoy the bank holiday! 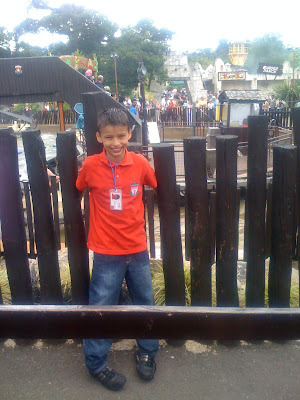 Cool outfit.Legoland looks so fun! 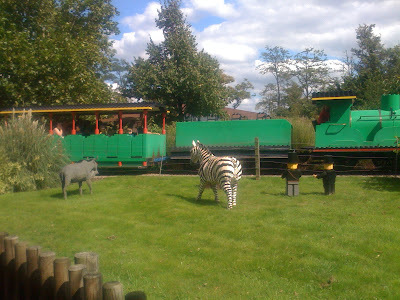 Hi Ida-I think as it is British school holidays, this is why its extra busy-but still great fun! thanks so much, Ida! Hi tupersonalshopperviajero-thanks, we did have a special day! No, its not a Chanel, but an Italian brand called Cosci! Hi Marian-thanks for your lovely comment and have a great bank holiday too! Hi jess-so kind, thanks a lot, it was great! what a fun day! 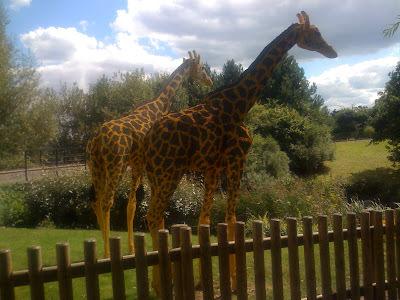 the zebras and giraffes look SO REAL! and i love your dress and handbag! Hi cate-it was brilliant, thanks a lot for your lovely comment! Hi dana-thanks so much, it was awesome!! OMG- that skull dress is so Thomas Wylde -- what a great find! Hi always in style-yes, I thought that as well!!! Great minds think alike, thanks my dear! Looks like a fabulous good time. What an amazing, and thorough, theme park! Hi sal-thanks, it was really good to be able to walk around all the different areas, I think we only missed one part, so quite good going! That's so awesome. 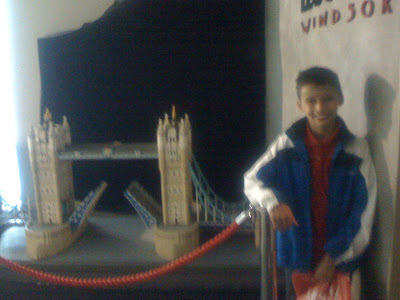 I want to go to Legoland! hi ariel-thanks, it was great!! Hi pamcasso-thanks!! He had a great time and so did I!! Looks like a ton of fun! I'm so jealous now lol. Hi fashiongirl22-thanks so much, I appreciate that! !